When Ramshill Road was known as Ramsdale Hill and most of the surrounding land was fields, Quebec-born enterprising photographer Oliver Sarony opened the majestic portraiture studio Gainsborough House in 1858 on what is now a car park alongside St Martin's Church. It had 59 rooms and catered for wealthy clients. 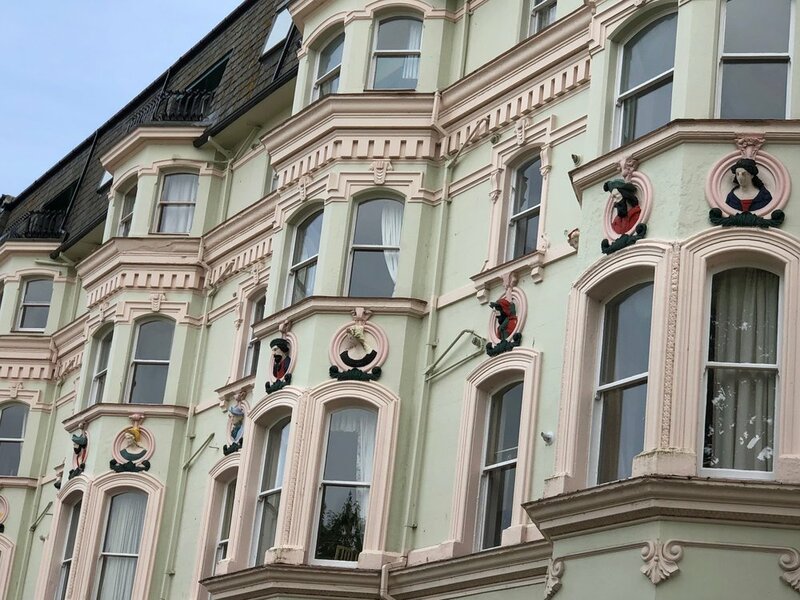 His original building, later demolished, had figureheads like these - great to see them so very well-maintained.